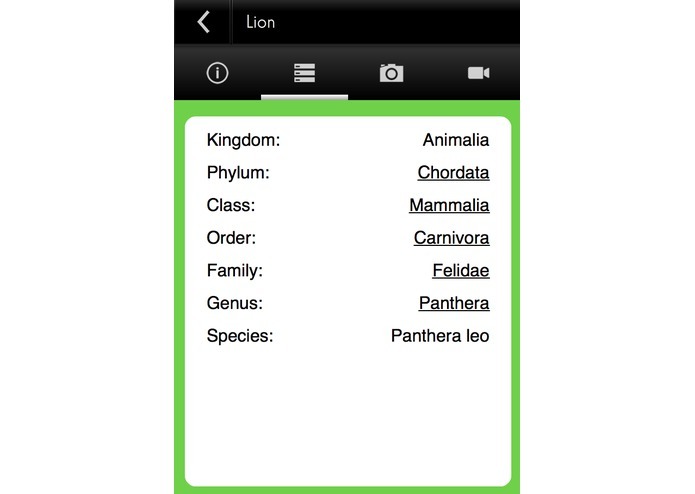 Species Explorer is an app that helps all kind of users that are interested in biology, from enthusiasts to students and experts. 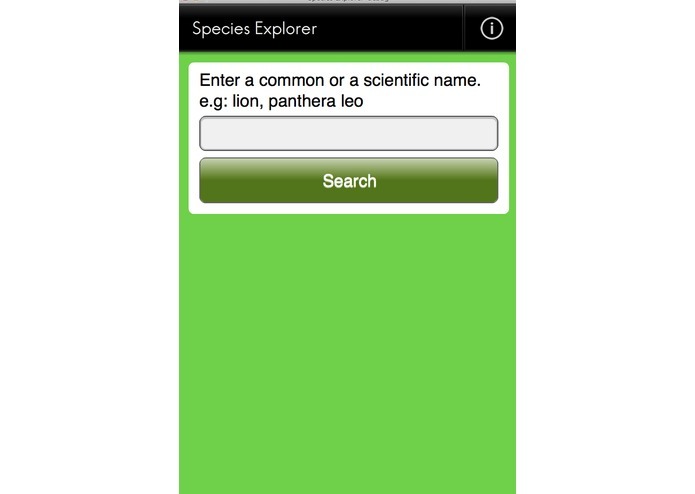 The app is very easy to use, to begin you must enter a common or a scientific name, then the app will connect to the GBIF API and search for all the species matching the search term. 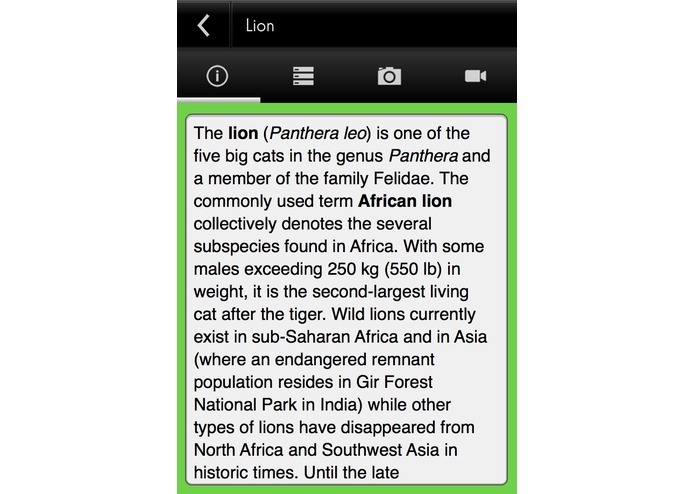 The Wikipedia API will provide with detailed information about the species. The Flickr API will return the most relevant pictures. 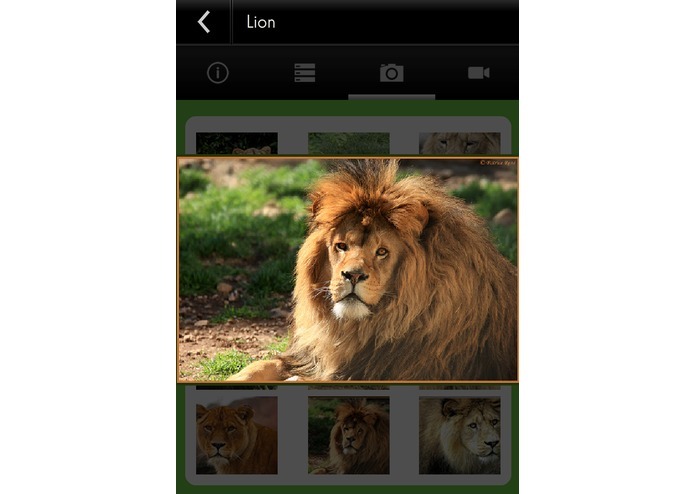 If the user taps on a picture they will be presented with the same image in full screen and higher resoltuion with a lightbox effect. 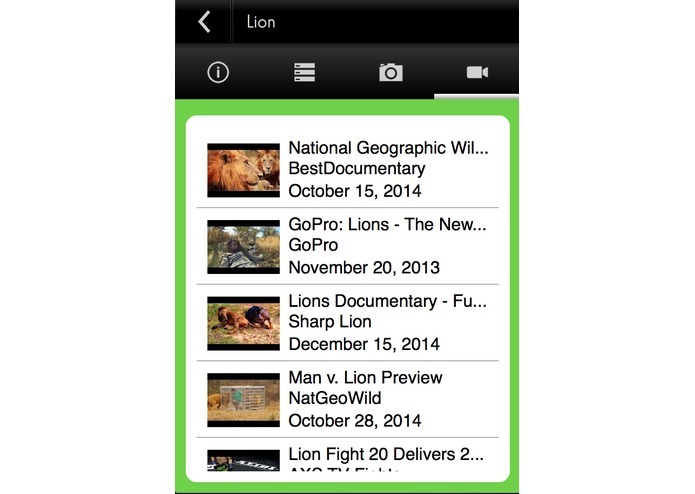 The Youtube API will return a list of the most relevant videos which can be watched from inside the app. 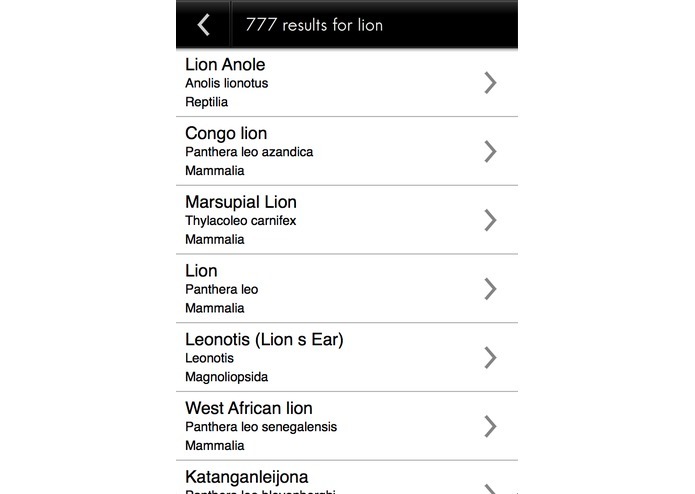 Users are able to explore more species with similar taxonomy properties by selecting the second tab and tapping on a text link. It will automatically do a search query into the GBIF API where users can continue exploring new species. This app will be available at no cost in the Google PlayStore and the Apple AppStore. It will also be open sourced and the code will be uploaded to my GitHub repo. 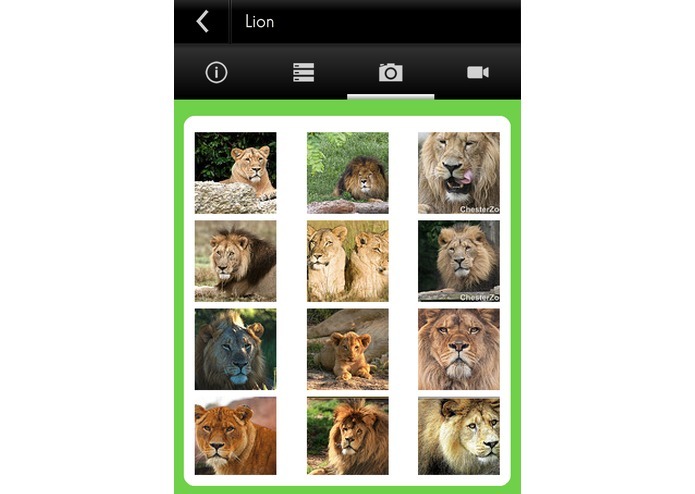 This app can be easily ported to work in a web browser, making it available to all operative systems.